Steven Hutchinson was born in New York City in the Spring of 1959. He is one of seven children who more than survived childhood in New York City. He is a warrior who fights for his integrity and the integrity of his people. Steven Hutchinson has read hundreds of books, traveled to all 50 states, visited India five times, studied yoga, meditation, and the major religions. He was a Hindu Priest for 15 years and is the author of Power Thought, a handbook for consciousness, and Budget Make It Now! 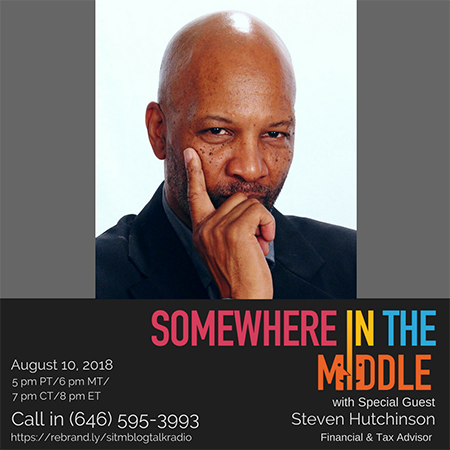 Steven Hutchinson is presently writing his 3rd book, which addresses black entrepreneurship and the psychological warfare that is involved in that mighty endeavor. He has had many business failures, which is the only real way to grow as an entrepreneur and be able to share that experience to help others. He is an entrepreneur focused on building an Empire, building a pyramid, building a society of Consciousness. Steven Hutchinson owns and operates PowerTaxx, which is an income tax startup, which he started as a lean start-up. He also is a licensed Insurance agent who provides financial products and teaches people how money works. Steven Hutchinson believes that since we live in a consumer nation we need to be producers to satisfy the needs, wants and demands of our people.